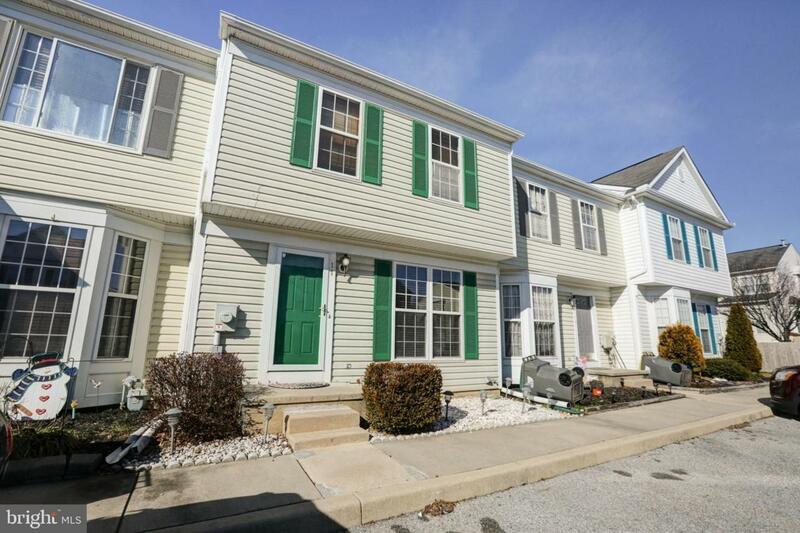 Well cared for townhome with 3 bedrooms, 2 1/2 bathrooms and finished basement. 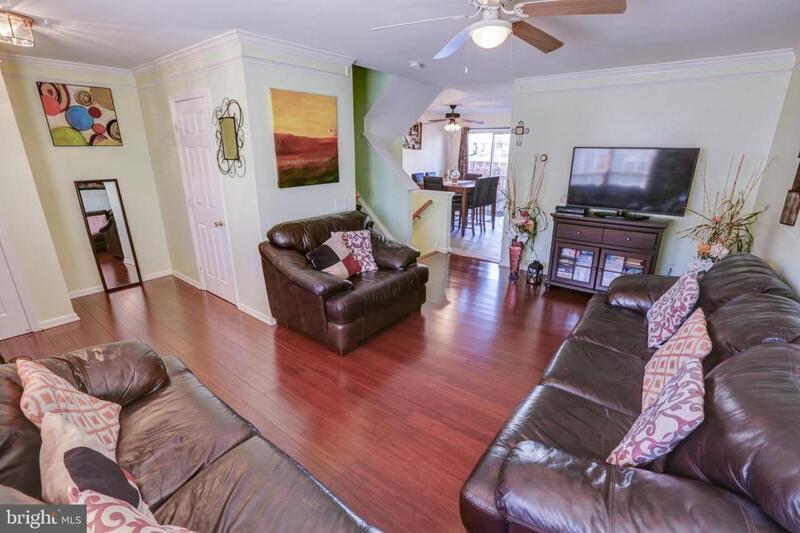 Gorgeous Brazilian cherry hardwood floors in the living room along with custom 2 tiered crown molding and half bathroom on the main level. You will find enjoyment cooking in the bright and airy kitchen with granite countertops, matching cocoa frosted cabinets, stainless steel appliances and pantry. There is countertop seating for two along with an open breakfast nook area. The upstairs level features 3 bedrooms and 2 full bathrooms which includes a master bedroom with vaulted ceiling and decorative shelving. Master bedroom also showcases a walk in closet and full master bathroom with custom tile. 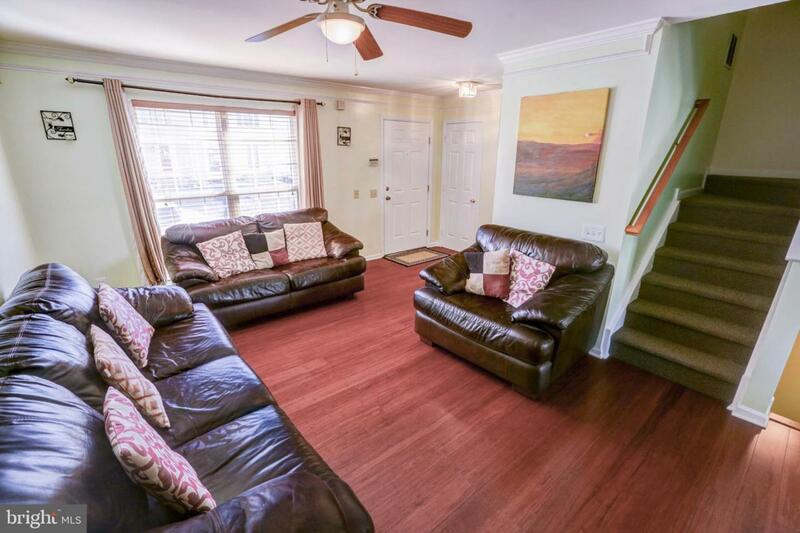 Find peace and tranquility in the finished basement family room which also has an additional 4th room that could be used as an office, playroom or game room. As spring approaches think about planning celebrations and parties on the backyard deck or patio with family and friends! Nice size backyard surrounded by an enclosed privacy fence. 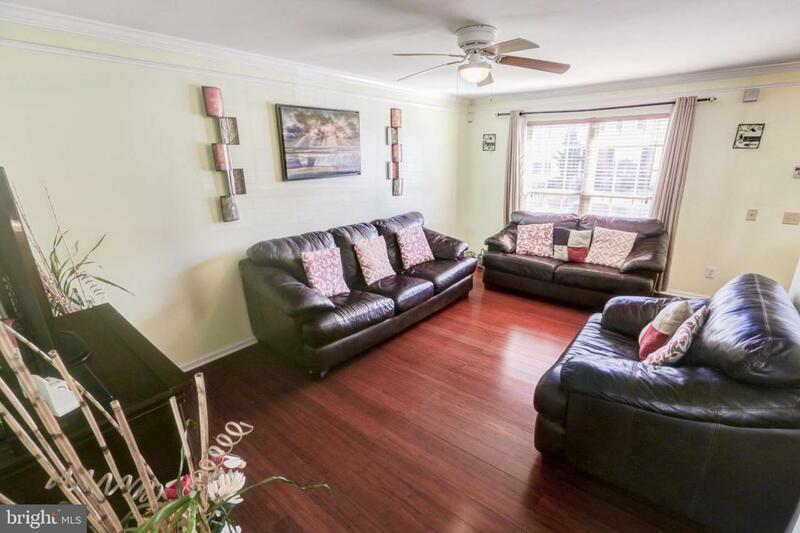 Within close distance to Route 1, I-95, shopping centers and malls. Make an offer!